Is Life a mystery or is it a scientific process? Neither. It is a grand experience made up of several million experiences. The debate will rage on, on what Life is. But that’s immaterial to the reality that Life will go on, giving you__and me__myriad experiences in our lifetimes. The Greek word ‘philosophy’ means love of knowledge. From an ancient Indian point of view, we have not used the word ‘philosophy’ much. Here, we seek ‘darshan‘ or we attempt to ‘see’, to awaken in realization, to the truth of being part of a larger whole. To scientists, Life is about conquest, about unraveling and controlling, replicating the method behind what is; to philosophers it is about reasoning the mystery of what is. Spiritual insight implores us to know that because there is, something, a whole, that there is a conquest possible or a mystery surrounding it exists! Ultimately, all disciplines teach us to learn and evolve from, in and through Life. The key is to be open and willing to experience Life in its myriad forms – good-bad, bitter-sweet, bright-dark, summer-winter, ups-downs, happy-sad, bliss-sorrow – and to go on experiencing it. The more we experience Life, the more it becomes easier and blissful to live. It is because we resist some experiences that we suffer. 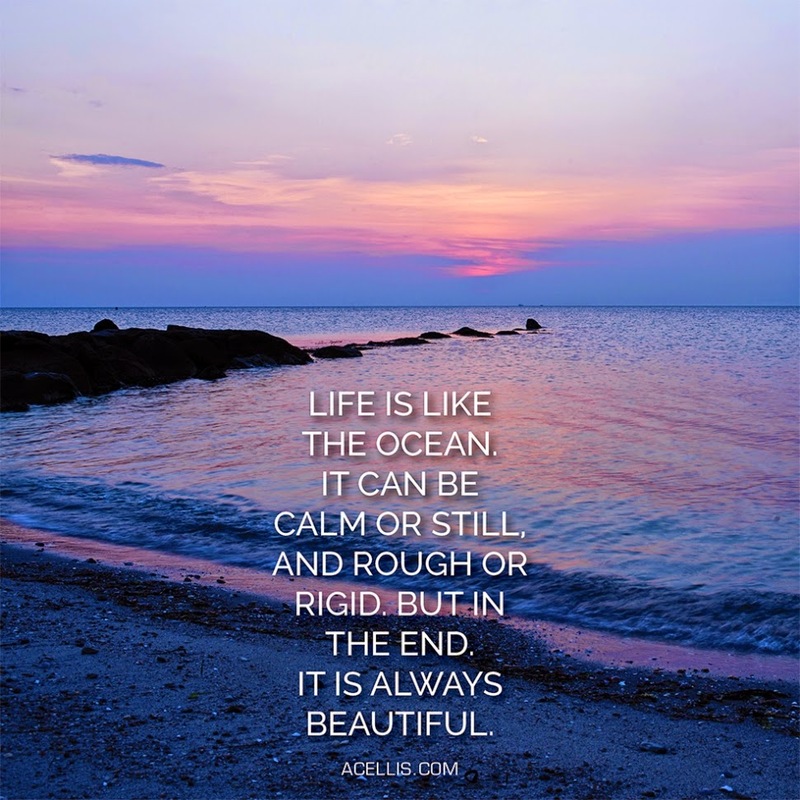 Life is like the beautiful, seductive, bountiful ocean. Each experience we go through is like a wave; it may perhaps be right to say a wave has ended by crashing on the shore, but it also marks the beginning of a new one. And the ocean__of Life__ itself remains inscrutable, magnificent and infinite!